Clearwater families who need a reliable SUV for the right price will love the Volkswagen Atlas price and features. This three-row SUV offers a great balance of power and efficiency, ample room for passengers and cargo, and loads of standard features and optional upgrades. With the Atlas, running errands and taking day trips with the kids will be a breeze. It’s not surprising that Car and Driver calls it “worth the wait.” Get a closer look by touring the inventory available now at Reeves VW, and compare the Volkswagen Atlas vs. Ford Explorer to learn more. Heated Seats, 3rd Row Seat, Cross-Traffic Alert, Smart Device Integration, Blind Spot Monitor, Dual Zone A/C, Back-Up Camera, Alloy Wheels, Rear Air, Satellite Radio, Keyless Start, CD Player, iPod/MP3 Input. Pure White exterior and Titan Black interior, 3.6L V6 SE trim. Warranty 6 yrs/72k Miles - Drivetrain Warranty; KEY FEATURES INCLUDE Third Row Seat, Rear Air, Heated Driver Seat, Back-Up Camera, Satellite Radio, iPod/MP3 Input, CD Player, Keyless Start, Dual Zone A/C, Cross-Traffic Alert, Smart Device Integration, Blind Spot Monitor, Heated Seats Rear Spoiler, MP3 Player, Onboard Communications System, Aluminum Wheels, Privacy Glass. Volkswagen 3.6L V6 SE with Pure White exterior and Titan Black interior features a V6 Cylinder Engine with 276 HP at 6200 RPM*. EXCELLENT SAFETY FOR YOUR FAMILY Child Safety Locks, Electronic Stability Control, Brake Assist, 4-Wheel ABS, 4-Wheel Disc Brakes, Tire Pressure Monitoring System VISIT US TODAY Welcome to Reeves Import Motorcars, a family owned and operated business since 1971. On behalf of our staff, thank you for visiting us on the Web and giving us an opportunity to acquaint you with our dealership. Our commitment to perfection is exceeded only by our resolve to offer you the highest levels of guest services in the luxury automotive industry. Our professional and well trained staff is ready to assist you with your new or pre-owned automotive needs. While every reasonable effort is made to ensure the accuracy of this information, we are not responsible for any errors or omissions contained on these pages. All offers are mutually exclusive. All vehicles subject to prior sale. Please verify any informa Horsepower calculations based on trim engine configuration. Please confirm the accuracy of the included equipment by calling us prior to purchase. Heated Seats, Third Row Seat, Remote Engine Start, Dual Zone A/C, CD Player, Power Liftgate, Turbo Charged, Aluminum Wheels, Rear Air, iPod/MP3 Input, Satellite Radio, Back-Up Camera. 2.0T SE w/Technology trim. Warranty 6 yrs/72k Miles - Drivetrain Warranty; KEY FEATURES INCLUDE Third Row Seat, Power Liftgate, Rear Air, Heated Driver Seat, Back-Up Camera, Turbocharged, Satellite Radio, iPod/MP3 Input, CD Player, Remote Engine Start, Dual Zone A/C, Lane Keeping Assist, Blind Spot Monitor, Cross-Traffic Alert, Smart Device Integration Rear Spoiler, MP3 Player, Onboard Communications System, Aluminum Wheels, Privacy Glass. EXCELLENT SAFETY FOR YOUR FAMILY Child Safety Locks, Electronic Stability Control, Brake Assist, 4-Wheel ABS, 4-Wheel Disc Brakes, Tire Pressure Monitoring System WHO WE ARE Welcome to Reeves Import Motorcars, a family owned and operated business since 1971. On behalf of our staff, thank you for visiting us on the Web and giving us an opportunity to acquaint you with our dealership. Our commitment to perfection is exceeded only by our resolve to offer you the highest levels of guest services in the luxury automotive industry. Our professional and well trained staff is ready to assist you with your new or pre-owned automotive needs. While every reasonable effort is made to ensure the accuracy of this information, we are not responsible for any errors or omissions contained on these pages. All offers are mutually exclusive. All vehicles subject to prior sale. Please verify any informa Please confirm the accuracy of the included equipment by calling us prior to purchase. Heated Seats, 3rd Row Seat, iPod/MP3 Input, CD Player, Keyless Start, Tow Hitch, Alloy Wheels, 2ND-ROW DUAL CAPTAIN'S CHAIRS, TOWING PACKAGE, Back-Up Camera, Satellite Radio, Quad Seats, Rear Air. PACIFIC BLUE exterior and SHETLAND V-TEX LEATHERETTE interior, 3.6L V6 SE trim. Warranty 6 yrs/72k Miles - Drivetrain Warranty; KEY FEATURES INCLUDE Third Row Seat, Rear Air, Heated Driver Seat, Back-Up Camera, Satellite Radio, iPod/MP3 Input, CD Player, Keyless Start, Dual Zone A/C, Blind Spot Monitor, Cross-Traffic Alert, Smart Device Integration, Heated Seats Rear Spoiler, MP3 Player, Onboard Communications System, Aluminum Wheels, Privacy Glass. OPTION PACKAGES 2ND-ROW DUAL CAPTAIN'S CHAIRS Two bucket seats w/fold-down armrests in place of standard 2nd row bench seat, 2nd Row Captain's Chairs, TOWING PACKAGE Factory installed trailer hitch w/5,000 lbs, towing capacity. Volkswagen 3.6L V6 SE with PACIFIC BLUE exterior and SHETLAND V-TEX LEATHERETTE interior features a V6 Cylinder Engine with 276 HP at 6200 RPM*. EXCELLENT SAFETY FOR YOUR FAMILY Blind Spot Monitor, Cross-Traffic Alert WHO WE ARE Welcome to Reeves Import Motorcars, a family owned and operated business since 1971. On behalf of our staff, thank you for visiting us on the Web and giving us an opportunity to acquaint you with our dealership. Our commitment to perfection is exceeded only by our resolve to offer you the highest levels of guest services in the luxury automotive industry. Our professional and well trained staff is ready to assist you with your new or pre-owned automotive needs. All prices exclude any government fees or taxes,titling and registration fees, any finance charges, fees, or taxes, and a $596.20 Pre-Delivery Service Charge. Prices may include incentives dependent upon payment or purchase method. Horsepower calculations Horsepower calculations based on trim engine configuration. Please confirm the accuracy of the included equipment by calling us prior to purchase. Heated Seats, 3rd Row Seat, Keyless Start, Dual Zone A/C, Smart Device Integration, CD Player, 20 SILVER TRIPLE 5-SPOKE WHEELS, Tow Hitch, PRIVACY COVER, TOWING PACKAGE, iPod/MP3 Input, Satellite Radio, Rear Air, Back-Up Camera. 3.6L V6 SE w/Technology trim, FORTANA RED exterior and SHETLAND V-TEX LEATHERETTE interior. Warranty 6 yrs/72k Miles - Drivetrain Warranty; KEY FEATURES INCLUDE Third Row Seat, Rear Air, Heated Driver Seat, Back-Up Camera, Satellite Radio, iPod/MP3 Input, CD Player, Keyless Start, Dual Zone A/C, Smart Device Integration, Cross-Traffic Alert, Blind Spot Monitor, Heated Seats. Rear Spoiler, MP3 Player, Onboard Communications System, Keyless Entry, Privacy Glass. OPTION PACKAGES 20 SILVER TRIPLE 5-SPOKE WHEELS Wheels: 20 Silver Triple 5-Spoke Alloy, Tires: 20 All-Season, TOWING PACKAGE Factory installed trailer hitch w/5,000 lbs, towing capacity, PRIVACY COVER tonneau privacy cover for cargo area. Volkswagen 3.6L V6 SE w/Technology with FORTANA RED exterior and SHETLAND V-TEX LEATHERETTE interior features a V6 Cylinder Engine with 276 HP at 6200 RPM*. MORE ABOUT US Welcome to Reeves Import Motorcars, a family owned and operated business since 1971. On behalf of our staff, thank you for visiting us on the Web and giving us an opportunity to acquaint you with our dealership. Our commitment to perfection is exceeded only by our resolve to offer you the highest levels of guest services in the luxury automotive industry. Our professional and well trained staff is ready to assist you with your new or pre-owned automotive needs. All prices exclude any government fees or taxes,titling and registration fees, any finance charges, fees, or taxes, and a $596.20 Pre-Delivery Service Charge. Prices may include incentives dependent upon payment or purchase method. Horsepower calculations Horsepower calculations based on trim engine configuration. Please confirm the accuracy of the included equipment by calling us prior to purchase. Heated Seats, 3rd Row Seat, CD Player, Remote Engine Start, Dual Zone A/C, iPod/MP3 Input, 20 SILVER TRIPLE 5-SPOKE WHEELS, Tow Hitch, PRIVACY COVER, TOWING PACKAGE, Satellite Radio, Back-Up Camera, Power Liftgate, Rear Air. PACIFIC BLUE exterior and SHETLAND V-TEX LEATHERETTE interior, 3.6L V6 SE w/Technology trim. Warranty 6 yrs/72k Miles - Drivetrain Warranty; KEY FEATURES INCLUDE Third Row Seat, Power Liftgate, Rear Air, Heated Driver Seat, Back-Up Camera, Satellite Radio, iPod/MP3 Input, CD Player, Remote Engine Start, Dual Zone A/C, Lane Keeping Assist, Blind Spot Monitor, Cross-Traffic Alert, Smart Device Integration, Heated Seats Rear Spoiler, MP3 Player, Onboard Communications System, Remote Trunk Release, Privacy Glass. OPTION PACKAGES 20 SILVER TRIPLE 5-SPOKE WHEELS Wheels: 20 Silver Triple 5-Spoke Alloy, Tires: 20 All-Season, TOWING PACKAGE Factory installed trailer hitch w/5,000 lbs, towing capacity, PRIVACY COVER tonneau privacy cover for cargo area. EXCELLENT SAFETY FOR YOUR FAMILY Lane Keeping Assist, Blind Spot Monitor, Cross-Traffic Alert VISIT US TODAY Welcome to Reeves Import Motorcars, a family owned and operated business since 1971. On behalf of our staff, thank you for visiting us on the Web and giving us an opportunity to acquaint you with our dealership. Our commitment to perfection is exceeded only by our resolve to offer you the highest levels of guest services in the luxury automotive industry. Our professional and well trained staff is ready to assist you with your new or pre-owned automotive needs. While every reasonable effort is made to ensure the accuracy of this information, we are not responsible for any errors or omissions contained on these pages. All offers are mutually exclusive. All vehicles subject to prior sale. Please verify any informa Horsepower calculations based on trim engine configuration. Please confirm the accuracy of the included equipment by calling us prior to purchase. Heated Seats, Third Row Seat, Dual Zone A/C, Cross-Traffic Alert, Lane Keeping Assist, Rear Air, Back-Up Camera, Aluminum Wheels, Power Liftgate, CD Player, Remote Engine Start, Satellite Radio, iPod/MP3 Input. 3.6L V6 SE w/Technology trim, Deep Black Pearl exterior and Shetland Beige interior. Warranty 6 yrs/72k Miles - Drivetrain Warranty; KEY FEATURES INCLUDE Third Row Seat, Power Liftgate, Rear Air, Heated Driver Seat, Back-Up Camera, Satellite Radio, iPod/MP3 Input, CD Player, Remote Engine Start, Dual Zone A/C, Cross-Traffic Alert, Lane Keeping Assist, Blind Spot Monitor, Smart Device Integration, Heated Seats. Rear Spoiler, MP3 Player, Onboard Communications System, Aluminum Wheels, Remote Trunk Release. Volkswagen 3.6L V6 SE w/Technology with Deep Black Pearl exterior and Shetland Beige interior features a V6 Cylinder Engine with 276 HP at 6200 RPM*. EXCELLENT SAFETY FOR YOUR FAMILY Cross-Traffic Alert, Lane Keeping Assist, Blind Spot Monitor, Child Safety Locks, Electronic Stability Control, Brake Assist, 4-Wheel ABS, 4-Wheel Disc Brakes BUY FROM AN AWARD WINNING DEALER Welcome to Reeves Import Motorcars, a family owned and operated business since 1971. On behalf of our staff, thank you for visiting us on the Web and giving us an opportunity to acquaint you with our dealership. Our commitment to perfection is exceeded only by our resolve to offer you the highest levels of guest services in the luxury automotive industry. Our professional and well trained staff is ready to assist you with your new or pre-owned automotive needs. While every reasonable effort is made to ensure the accuracy of this information, we are not responsible for any errors or omissions contained on these pages. All offers are mutually exclusive. All vehicles subject to prior sale. Please verify any informa Horsepower calculations based on trim engine configuration. Please confirm the accuracy of the included equipment by calling us prior to purchase. Why Buy a New Volkswagen Atlas? You can lease or finance a new Atlas today, and thanks to our offers and incentives this model is more accessible than ever. 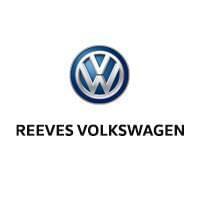 Contact Reeves VW in Tampa to ask questions or schedule a test drive and explore the Atlas for sale in Clearwater. Check out the Volkswagen Atlas interior and features to get a feel for your everyday commute! Before you visit us in person, be sure to explore the Volkswagen Atlas lease deals! Take advantage of Volkswagen Car-Net to improve your drive! *6 years/72,000 miles (whichever occurs first) New Vehicle Limited Warranty on MY2018 VW vehicles, excluding e-Golf. Claim based on manufacturers’ published data on length and transferability of car and SUV Bumper-to-Bumper/Basic warranty only. Not based on other separate warranties. See owner’s literature or dealer for warranty exclusions and limitations.